The big part of handling your finances professionally is by having someone who is qualified to actually handle the money. Why not focus on recruiting that guy? Most fraternities I know think that the brother most qualified is the biggest jerk in the fraternity. The theory is that since he is a jerk, he’ll have no problem pestering the brothers for their dues. But then what happens when he finally collects the money? This is a business model doomed for failure. So when you recruit, recruit an accountant or two and groom them to become treasurer someday. The benefit for both parties is huge. The accountant brother will have real life experiences where he will be able to apply the lessons that he learned in school. Employers place a lot of value on prospects that have already proven that they are able to perform the skills that they are supposed to have learned. Give your brothers this opportunity. 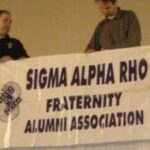 The fraternity’s benefit is even more significant. Your finances will be managed in a professional manner. Check and balances will be put in place to ensure that the improvements made are sustainable, and the fraternity’s finances remain strong. Use this to your advantage during fraternity recruitment. The cash in your fraternity’s bank account is one of your most valuable assets. Be sure you have someone who is qualified to protect it.